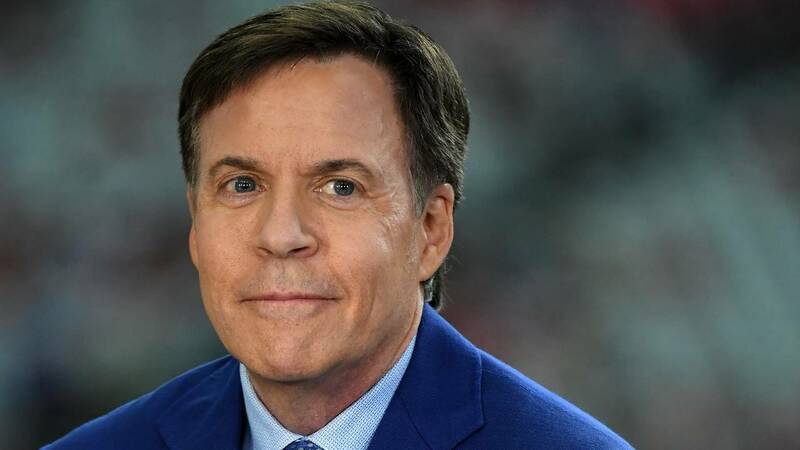 (CNN) - Bob Costas told ESPN in an exclusive interview published on Sunday that the reason he was cut from hosting Super Bowl LII was because of public remarks he made about the detrimental effects of concussions on football players. Costas was set to host his final NFL game last year on Super Bowl Sunday, but months before the Eagles took on the Patriots on February 4, 2018, the famous sportscaster was dropped from the broadcast, setting the stage for the end of his 40-year career at NBC. Costas -- who has hosted nearly every sports event imaginable, from the Olympics to the Kentucky Derby -- had been critical in the past of the NFL's role in the concussion crisis. But remarks he made the year prior at a journalism symposium went a touch too far for his bosses. "I think the words were, 'You crossed the line,'" Costas told ESPN's "Outside the Lines." "And my thought was, 'What line have I crossed?'" In 2017, Costas told a crowd at the University of Maryland that "The reality is that this game destroys people's brains -- not everyone's, but a substantial number. It's not a small number, it's a considerable number. It destroys their brains." The comments quickly went viral, prompting NBC to put out a statement saying that Costas' opinions were his own and did not represent the views of NBC Sports. Costas also went on CNN at the time "to make it clear he wasn't being critical of NBC," according to ESPN's report. NBC pulled him from the Super Bowl LII telecast anyway, according to Costas. "I recall the phrase, 'It's a six-hour, daylong celebration of football, and you're not the right person to celebrate football,'" Costas told ESPN. "To which my response was not, 'Oh please, please, change your mind.' My response was, 'Yeah, I guess you're right.'" A NFL spokesperson told ESPN that the league did not ask for Costas to be pulled from the broadcast. Costas also told ESPN that an essay he wrote in 2015 pegged to the release of the movie "Concussion" was killed by NBC Sports because the network was in negotiations with the NFL to air Thursday Night Football. "Concussion" is a sports drama about the doctor who discovered the link between CTE and head trauma and the NFL's efforts to discredit his research. Costas wanted to use the release of the movie to address the issue on national television. "It was a natural lead-in," Costas told ESPN. "I thought that the movie would make an impact, and I thought this was a way not only for NBC to acknowledge it, but to get out in front of it." That detail underscores the outsized influence the NFL has on its television partners. In a highly fragmented television landscape, the NFL is the biggest ratings juggernaut. Networks pay billions of dollars to the league for the right to broadcast its games. Even when ratings fell in the last few seasons, NFL games were still some of the most-watched events on TV. The NFL's regular season viewership went up about 5% in 2018 compared to the previous year, attracting an average of 15.8 million viewers. "Look, the NFL isn't just the most important sports property, it's the single-most important property in all of American television," Costas told ESPN. "And it isn't even close." NBC and Costas quietly ended their decades-long partnership earlier this year. NBC issued a statement about ESPN's report. "We have historically given our commentators a lot of leeway to speak on our air about issues and controversies, and Bob has benefited most from this policy," a NBC spokesperson told CNN Business. "We're very disappointed that after 40 years with NBC, he has chosen to mischaracterize and share these private interactions after his departure."